With two big long haired fur babies in our home, it’s not uncommon to find random cat hair tumble weeds along our baseboards, especially underneath the sofa table. It’s like they know they are safer there and they all huddle together. The balls of fur seem to come from out of nowhere and often get missed by the kids when they are sweeping. I’ve been known to day dream about life 100 years from now. Robots to do the tasks we dislike the most or just don’t have the time to do. The Neato XV Essential Bagless Robot Vacuum can take care of these issues with just the press of a button. Yes, I said ROBOT VACUUM. Now that’s I’ve got your attention …. check out these specs! Now you don’t have to choose whether to read an extra chapter, spend a few extra minutes pushing the kids on the swing, or take care of the floors. Let Neato take care of it while you go about your daily life! 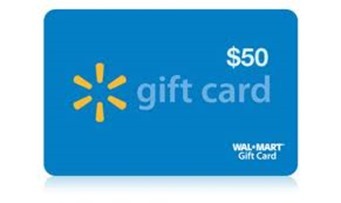 ONE OurKidsMom reader is going to win a $50 GC to Walmart (maybe put it towards a Neato?)! This giveaway ended at 11:59 PM EST on April 25, 2014. I like that this system uses Bagless technology and the Walmart site has free shipping on most items over $50. I like that it has the strongest suction available in a robot vacuum. I like the West Bend 0.9-cu. ft. 900-Watt Microwave! I like the Neato XV-21 Pet and Allergy Robotic Vacuum because it can really get up my dog hair. I like the Neato XV Signature Robotic Vacuum, 945-0079. I like that you can get free to shipping to any Walmart store! Great deal! The Neato XV Signature Pro Robotic Vacuum, 945-0080 would be very cool to own – and make housework a lot more fun! I love Walmart. I’d like to have the Neato XV Signature Robotic Vacuum, 945-0079. Visited the site and read up on their return policy and found out they have a credit card. I like the Neato XV-21 Pet and Allergy Robotic Vacuum. I would love to have their Neato Robotic Vacuum! This would be so handy and save so much time because I like to keep my carpets vacuumed. Walmart store near my house, any item that is on their website, but not sold at their store. The Neato XV Signature Robotic Vacuum would rock my world!! The Neato XV Signature Pro Robotic Vacuum, 945-0080 looks awesome! I would like the Neato XV21 Pet and Allergy Robotic Vacuum. I have SOOOO much cat hair! I learned that they have the Keurig I want, as well as the dumbells… now I want to go shopping. I like that they sell a boundary. Then I can just contain the vacuum to one zone. I didn’t know that they had a Value Of The Day deal. I love the Neato XV-21 Pet and Allergy Robotic Vacuum and that it will do carpet, wood, tile or vinyl floors. I shop at Walmart once a week and always need something. I think with this extra gift card, I would get new dining chair pads and dining table placemats! I like that you can have items shipped to your local store to avoid shipping charges. I like that this vacuum automatically detects and avoids stairs, and doesn’t bump into furniture like other robots do. They offer free shipping on nearly everything!!! Awesome! I love that you can clean other things, while it vacuums. I would love to have the Jeco Wicker Patio Loveseat with Cushion and Pillows. Cant beat FREE Shipping. Saves gas, money & time. I love that the Neato XV Essential Bagless Robot Vacuum has the strongest suction available in a robot vacuum. And I love that Walmart has free ship-to-store! I learned that you can do ship to store so you don’t have to pay for shipping. Neato XV Signature Pro Robotic Vacuum, 945-0080 would be awesome to have. This is something I want: Neato XV-21 Pet and Allergy Robotic Vacuum. That would be great! I like that the Neato maps out where it goes and isn’t just random vacuuming. I would like to give the Neato XV-21 Pet and Allergy Robotic Vacuum a try. We just got a new puppy so this would come in handy. thank you! I like the strong suction feature the best. I want the Neato XV-21 Pet and Allergy Robotic Vacuum! I’d like to get the Neato XV-21 Pet and Allergy Robotic Vacuum! 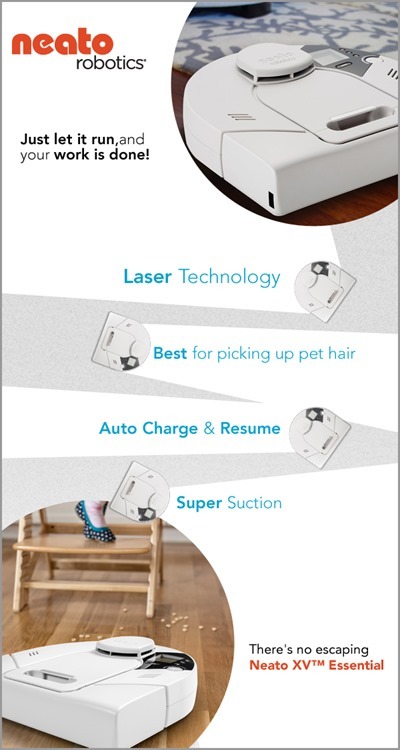 I would like to have the pet and allergy robotic vacuum. I have two cats and allergies. I like the Neato XV Signature Pro Robotic Vacuum, 945-0080. Awesome! Visit the Walmart site and tell me something you like learned or want in the comments section of the blog below. I love that Walmart does free shipping on orders over $50. I learned that two of the Neatos are on clearance. No more pushing around a big vacuum ! I like the Neato XV Signature Robotic Vacuum. Ilike I can have things shipped to my local store. I like the Neato XV Signature Pro Robotic Vacuum, 945-0080. I like what this vacuum does – I would really use it! I really like the Keurig coffee maker and the K cup selection. That would be fun to try all the flavors. I like that they have vacuums for several different price points. Thanks for the chance to win! Neato XV Signature Robotic Vacuum, 945-0079. Wow I learned how expensive those things are, but really cool to have. I learned that the Neato XV Robotic Vacuum constantly updates its map of a room, so if a new object is added into the room during a cleaning run, the robot will add it to the map. I want Neato Robotics XV Series Pet and Allergy Upgrade Kit. The Neato XV-12 Robotics Automatic Bagless Vacuum would be “neat” to have. I want the Neato XV Signature Pro Robotic Vacuum, 945-0080. I like the printable coupons on the site. I love that you can schedule it to clean daily…that’s awesome. I like the Neato XV Signature Pro Robotic Vacuum. Thanks Heather! I like the Neato XV Essential Bagless Vacuum, 945-0016! I like that the Neato has the most powerful suction of a robotic vacuum. I love the keurig k75! i really want a brother sewing machine. esp the project run way embroidery one. I would love to have NutriBullet from Walmart. I love that it is a bagless system. There are so many things that I want! Especially the Neato XV Signature Pro Robotic Vacuum, 945-0080! What a machine! I like the Neato vacuums and would love to have one. What I like is that they are bagless, automatic and available at Walmart. I learned that the Neato XV Essential at Walmart has standard and allergy filters available. The allergy filters retain more than three times the amount of fine dust particles as the standard filters. I like that they have specific Pet and Allergy Filters. The robotic vacuums are a really neat concept, I would love to have one but would probably buy my daughter a video game if I win the gift card. I’ve not had good luck with robot vacuums, but this one looks promising! I love the fact that they sell a 4 pack of filters! I like the pet and allergy vacuum. I could use the Neato XV-21 Pet and Allergy Robotic Vacuum. I learned there is free shipping on nearly everything. I’m very curious as to whether that little vacuum could handle our fur babies massive hair output. I learned they are bagless. I have to get one of these!! I want the yogurts they have at Walmart. Walmart has free shipping on most items over $50 – you don’t even need to leave the house! I like the Neato XV-12 Robotics Automatic Bagless Vacuum. I want the Mainstays Reversible Comforter in dark brown. I would really like to have the Neato Robotics Botvac 80 Robot Vacuum, 945-0103.
i learned the robot vacuums have pet and allergy filters built in. I would like the Neato XV Essential Bagless Vacuum. Id like to try the neato robot XV bagless vacuum or the Eureka upright. I would love to have the Neato XV-21 Pet and Allergy Robotic Vacuum. I like that the robot comes in various colors. I like the pet and allergy upgrade filters. That’s definitely what i would need for my house. I want the Neato XV-21 Pet and Allergy Robotic Vacuum! So cool! I learned there is free shipping on orders more than $50! i want to get the keurig coffee maker. I like the printable coupons! I would love a Neato vacuum and I really want a Keurig coffeemaker, too. Thanks for having this contest. I like that it does the work for you, not sure it would work with 4 dogs, but would be wonderful if it did. I like Neato XV-21 Pet and Allergy Robotic Vacuum. I love that I can clean my floors with the click of a button. I want the Neato Robotics Botvac 75 Robot Vacuum, 945-0101.